The federal Liberal government cleared another hurdle standing in the way of constructing a $7.4-billion expansion to the Trans Mountain pipeline system Friday, securing new regulatory approvals from the National Energy Board. The federal Liberal government cleared another hurdle standing in the way of constructing the $7.4-billion expansion to the Trans Mountain pipeline system Friday, securing new regulatory approvals from the National Energy Board. The regulator imposed 156 conditions on the project (it listed 157 conditions when it first approved the project in May 2016) while also handing Ottawa 16 new non-binding recommendations it says would help mitigate marine safety risks that could result from an expanded shipping terminal near Burnaby, B.C. Robert Steedman, the chief environmental officer of the NEB, said Friday that conditions in the Salish Sea along B.C. 's coastline are already so badly degraded from centuries of human activity that the addition of just one more tanker per day would have a minor impact on the endangered southern resident killer whale population. Natural Resources Minister Amarjeet Sohi welcomed the NEB's report calling it a "major milestone" and said Ottawa is committed to doing the "hard work necessary to move forward in the right way on TMX." Prime Minister Justin Trudeau and his cabinet have 90 days to respond to the NEB report — they can either approve it or kill the taxpayer-owned project outright. But despite the legislatively mandated response time, Ottawa has said it will not impose constraints on Indigenous consultation efforts — meaning a firm date for a final decision remains elusive. The NEB re-do was prompted by a Federal Court of Appeal decision last summer that quashed the Trudeau government's initial cabinet approval of the expanded pipeline, sending Ottawa back to the drawing board on two key matters: Indigenous consultation and marine-related environmental assessment. The 1,150-kilometre expansion project would nearly triple the existing pipeline's capacity to 890,000 barrels a day. It would allow pipeline shipments from Alberta's oilpatch to coastal B.C., and then to markets in Asia. Tanker traffic from the Westridge Marine Terminal would increase from about five vessels a month to one a day. With pipeline capacity severely constrained, oilpatch boosters have long demanded a new pipeline to tidewater that would allow Canadian producers to fetch prices closer to the going world rate for oil — which could boost government revenue. According to research from the nonpartisan Conference Board of Canada, an expanded Trans Mountain would lead to 802,000 person-years of employment and $46.7 billion in government revenue over the next 20 years. The think-tank estimates that most of those gains would come about through higher prices for Canadian oil. The NEB announcement doesn't mean the project is in the clear. 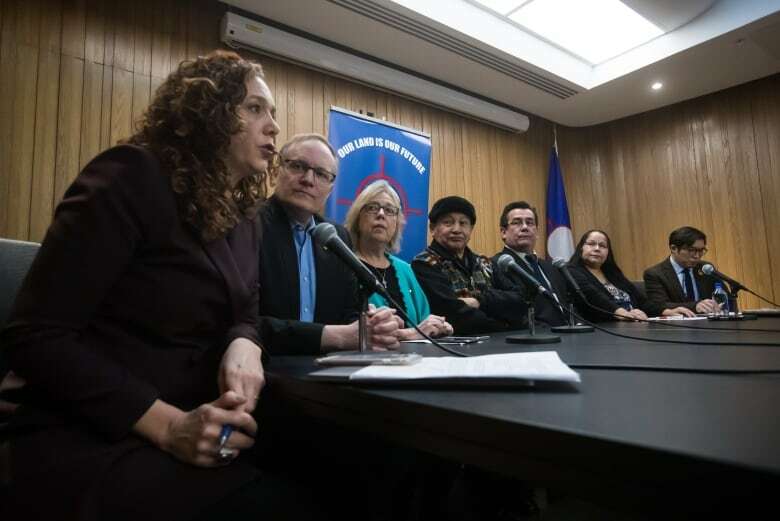 Environmentalists and other project opponents warn a spill on the coast would be disastrous and say increased greenhouse gas emissions driven by pipeline exports could threaten Canada's commitment to the Paris agreement on climate change. 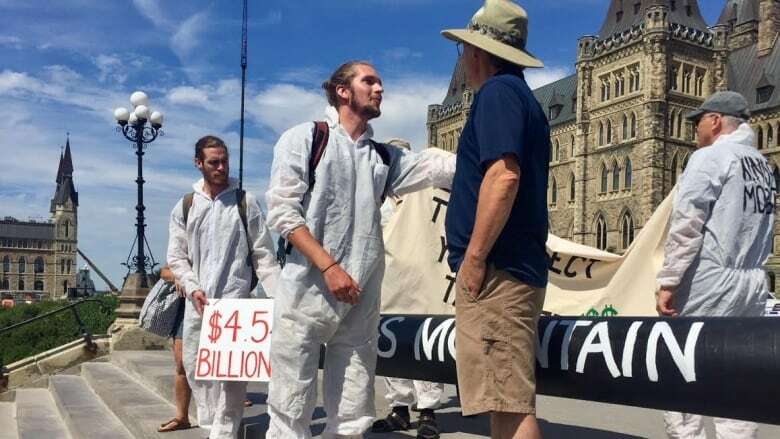 Anti-oilsands activist Tzeporah Berman, who works with the Standearth green advocacy group, said the project "is not in the public interest and will never be built." Judy Wilson, chief of the Neskonlith First Nation and secretary treasurer of the Union of B.C. Indian Chiefs, said the coalition of B.C. Indigenous peoples opposed to the pipeline expansion will not back down in the face of the regulator's approval. "We categorically disagree with the National Energy Board," she said. "We still say no to the project. Not only did they not listen to the Indigenous concerns, they're not even listening to our orcas." The Federal Court of Appeal said the NEB, in its initial May 2016 recommendation report, did not adequately address the impact a substantial increase in tanker traffic could have on area whales, or the threat of a spill of diluted bitumen from a tanker. 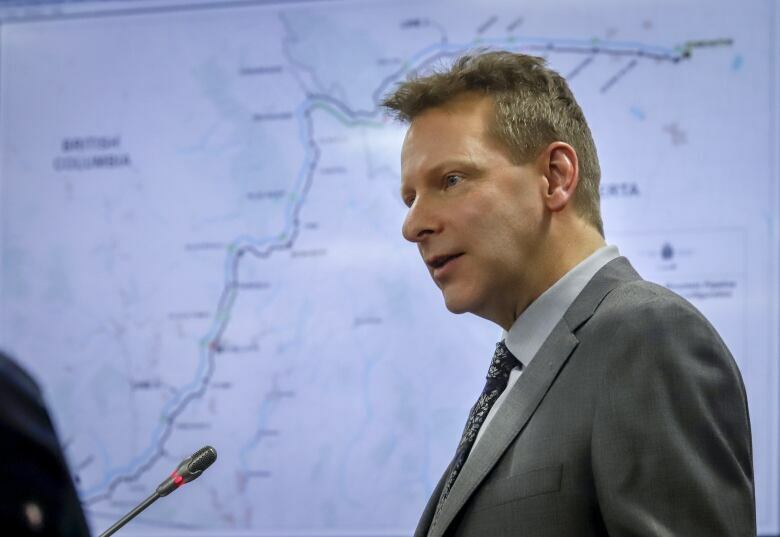 "Today, following an intensive 22-week reconsideration process, the NEB submitted its report on the project with an overall recommendation that the Trans Mountain expansion project is in the Canadian public interest and should be approved ... This report marks an important milestone as the government follows the Federal Court of Appeal's guidance," Sohi said. "Moving forward, the [cabinet] will make a decision on TMX once we are satisfied that the Crown has adequately fulfilled its duty to consult. We are hopeful the work we are doing will put us in a strong position to make a decision within the NEB's legislated timeframe." While the federal Liberals vowed to be guided by the NEB in approaching the project, B.C. NDP MP Murray Rankin said the regulator's decision was "not acceptable" and compared its recommendations to mitigate the project's risks to "changing the deck chairs on the Titanic." "They're prepared to consign the southern resident killer whales to oblivion. Perhaps that's in the national interest where you live, but it's certainly not where we live," Rankin said, adding he suspects there will be further legal action against the project. "I can predict with confidence environmental organizations are not going to take this sitting down," the Victoria-area MP said. Conservative MP Shannon Stubbs, the party's natural resources critic, said the NEB decision is good news for the many energy workers who have faced layoffs in recent months due to historically low oil prices — but she demanded a clearer timeline from the Liberal government on when construction of the project would resume. "Today's recommendation from the National Energy Board, while positive, does not get us anywhere closer to the pipeline getting built. All it does is put the decision back in the hands of the same Liberal cabinet that failed to start construction in the first place," she said. The original proponent of the expansion, Kinder Morgan, halted all essential spending last spring after the B.C. NDP government launched a series of legal manoeuvres designed to thwart construction. Amid the uncertainty, Ottawa agreed to buy the project for $4.5 billion. On the very day Kinder Morgan shareholders agreed to sell most of the company's Canadian assets to Ottawa, the Federal Court of Appeal quashed approvals, demanding changes before construction could resume. The court found the federal government's Phase 3 consultation process with Indigenous peoples was a "failure." It called federal consultants glorified "note-takers" who recorded the concerns of Indigenous communities without acting on them. The previous Crown consultation team believed, erroneously, that it could not add more conditions to the project than those the National Energy Board (NEB) already imposed as part of its Phase 2 consultation, the court found. The federal government tapped retired Supreme Court justice Frank Iacobucci to lead renewed talks with Indigenous communities. Iacobucci and his team of 60 consultants will be empowered to turn feedback into action where possible. As of Wednesday, the consultation teams had spoken already with three-quarters of the 117 communities that will be affected by the project's construction.